Explanation: Gazing out from within the Milky Way, our own galaxy's true structure is difficult to discern. 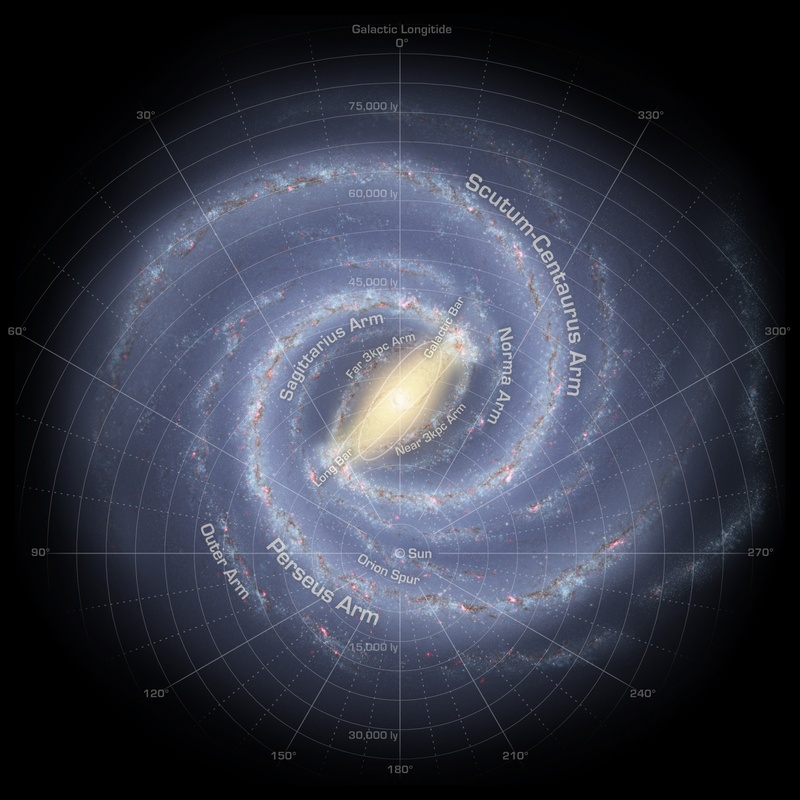 But an ambitious survey effort with the Spitzer Space Telescope now offers convincing evidence that we live in a large galaxy distinguished by two main spiral arms (the Scutum-Centaurus and Perseus arms) emerging from the ends of a large central bar. In fact, from a vantage point that viewed our galaxy face-on, astronomers in distant galaxies would likely see the Milky Way as a two-armed barred spiral similar to this artist's illustration. Previous investigations have identified a smaller central barred structure and four spiral arms. Astronomers still place the Sun about a third of the way in from the Milky Way's outer edge, in a minor arm called the Orion Spur. To locate the Sun and identify the Milky Way's newly mapped features, just place your cursor over the image.